Did you know that children laugh over 300 times a day and adults laugh less than twelve? 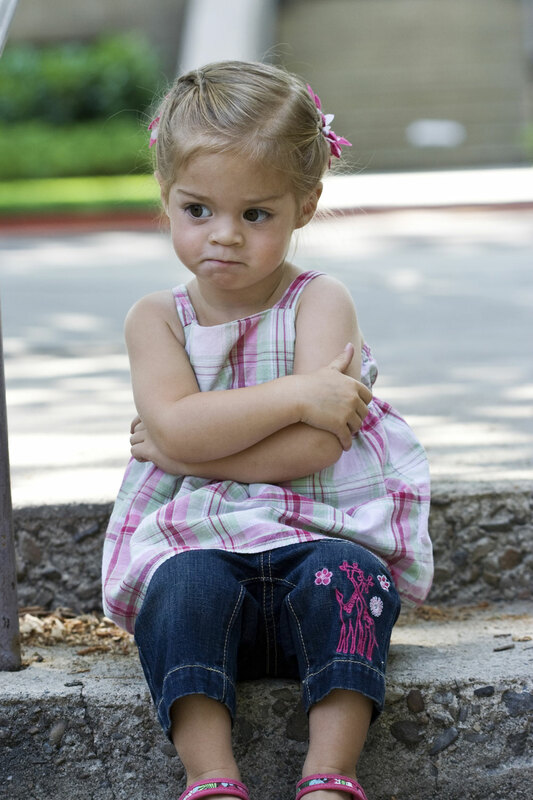 Handling temper tantrums can be one of the toughest challenges that parents face. Different temperaments and rapidly changing developmental stages make the task of dealing with emotional meltdowns a tricky endeavor. There is no one magic fix-all method for handling temper tantrums. It is a parenting challenge that is constantly changing and which requires attuned responses and lots of creativity. Adapting your language and communication, showing empathy as you seek to decipher the message of behavior and regulating emotions is the only way to handle your child's emotional ups and downs. It is important to adjust your limits to be developmentally appropriate. For example a small child can't "just stop crying" or "quit fussing" when they are feeling strong feelings because they are flooded with stress hormones, which shuts off access to their "thinking brain." This is what is happening in the body and brain when a child exhibits a temper tantrum. Handling temper tantrums with compassion requires you to calm the stress before you can expect receptiveness, shift behavior or teach lessons. You can keep your personal family values and rules enforced while setting limits with compassion. You might not let your child thrash about and disrupt others, but you can gently remove him from the area so he can calm down without using blame, shame, judgment or guilt. Don't lose sight of your long-term goals in favor of controlling behavior in the moment. We know that a toddler tantrum is caused by a child's inability to express and manage his very big - and sometimes explosive - emotions and frustrations. 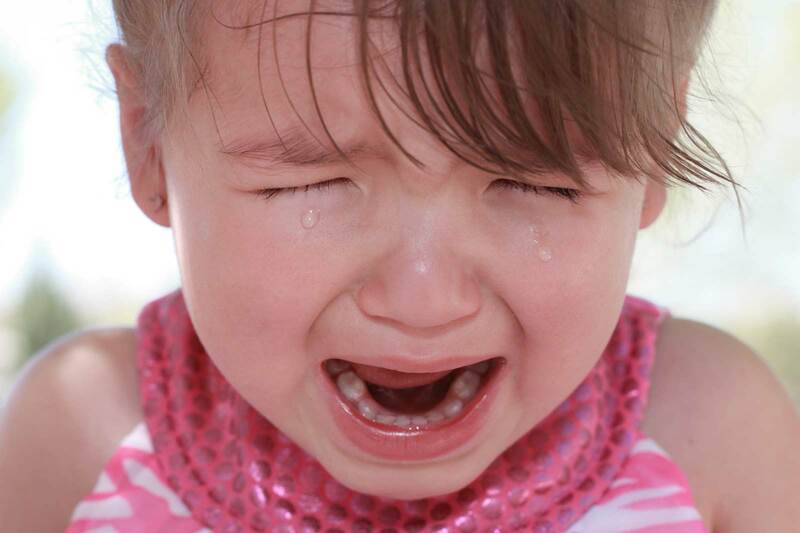 Handling temper tantrums is a delicate balance of reassuring your child that she is safe and secure, while giving lots of empathy to help her through this "big scary feeling" moment. The steps below will give you some clues how to discipline a toddler so you can avoid unnecessary struggles that leave you out of patience with immature brains! The frustration of handling temper tantrums can be eased by taking preventative measures. 1. Stay ahead of your child's particular needs and sensitivities. Hunger, over-stimulation, anxiety, boredom and sleepiness are all common causes for toddler tantrums. Match your expectations to the appropriate age/developmental stage of your child. You can't expect a three-year-old to maintain his enthusiasm at being carted around all day long doing errands, nor can you diminish his feelings about not getting that toy truck by yelling at him to get up of the floor and stop crying right now! This is a tough one. Try counting in one day how many times you say the above three words. You may be surprised at how often you are saying "No" to your child. "No's" are sometimes necessary and helpful, but be aware of when you are saying "No" for convenience or simply because you aren't emotionally prepared to investigate deeper. If you can take your negative statements and turn them into positive ideas, you will be amazed at how much more smoothly your days will flow. A child who hears the words "No, Don't, or "Stop" really only hears whatever follows "No, Don't, and Stop." These words turn limit-setting into power struggles leading everyone to feel - out of control. This is not the way to handling temper tantrums with ease. Humans cannot be controlled through force without causing harm to their sense of self and the core of their beings (safety/danger aside - you do what you need to do if someone is about to be hurt). When handling temper tantrums, it is imperative that you relax your knee-jerk reaction to control and micro-manage your child's behavior. You will only drive yourself crazy. Find the need behind your child's behavior and you will find yourself an opportunity to help him through it. 3. Connect and make eye contact with your child. It is absolutely crucial that you get down on your child's level. If you are in the habit of yelling your requests from two rooms away, you will likely have a child who mostly ignores you. Use physical touch to initiate a connection. Make eye-contact (don't demand it) and wait for your child to notice you. Adopt a firm but non-threatening tone that is clearly distinguishable from your normal speaking voice to emphasize impending danger or emergency requests. This eliminates the need to yell. A clear, emphatic, parental attitude and tone will give your child an unmistakable signal that they are about to cross a boundary - but without intimidation. Be predictable, remain calm. Be careful not to overuse your "Emergency" voice. Save it for when you need to be clear for safety issues, otherwise you may find that your child ceases to respond after a while. 4. Keep your child in the loop. Transitional tantrums are the hardest on kids. It is not appropriate to expect a toddler or even an older child to immediately stop what they are doing, and change course just because you ask nicely. Get in the habit of giving your child a 5 minute, 3 minute and 1 minute warning before cutting off the current activity. Kids need transition time. Some need more than others if they are sensitive or have a difficult temperament. Review schedules with kids and at breakfast, give them a rundown of the day. Explain what will happen, who you plan to see or where you intend to visit. Show small children pictures of the people you are going to see. If they have been forewarned, it can have a positive impact on their level of comfort when they actually come face-to-face with that person. Keep snacks and toys on hand. Prepare the night before. Make sure your child is well-rested and fed before starting any long journey or a full day of activities. If your child knows what to expect, then for the most part, so can you. Instead of demanding what you want your child to do. Give them a choice. Make your requests brief and clear. Don't talk too much or too long. Lectures and too much information cause overload in the young brain. They can't process it all at once. Try: Would you like to first brush your teeth or put on your pajamas? Breaking tasks into smaller steps and giving choice helps kids stay focused. Vague requests such as, "Go get ready for bed," can cause a child with attention difficulties to dawdle. Kids like to feel autonomous and in control of their own lives. Guide them to being independent and self-reliant by gradually providing more and more opportunities for them to make decisions about things that affect them - life, health, play, exercise, school, family etc. 6. Make games or challenges out of routines and mundane tasks. Children see life as a game - fun, exciting, new. There is always something novel and shiny to catch a young child's eye leading them to explore, inquire about and take risks. There are also many responsibilities to get done in a day, and that can make parenting feel less than fun and childhood, a drag. But, you can turn anything into a game and make it fun, as you ease your children into doing what you would like them to do. The "Clean your room - how many things can I pick-up in three minutes" contest. Sing songs as you bathe or dress your tot. Challenge your toddler to a race to clean up the blocks. Talk with an accent, put a sock on your hand and crawl around on the floor like a lion, sing opera - be willing to use PLAY and FUN to connect. The Old Parenting Paradigm may have convinced you that your child should "do as they're told, when they're told" and do so without a lot of hoopla. That advice no longer applies, if our goal is to raise emotionally healthy children. Our kids need to know more about handling life than just our opinions of their performance. Your ability to remain calm and creative in the face of chaos and not cower from fear due. You can ignore the steely glares of other parents - they are not raising your child. How well you can intuit your child's needs in advance. 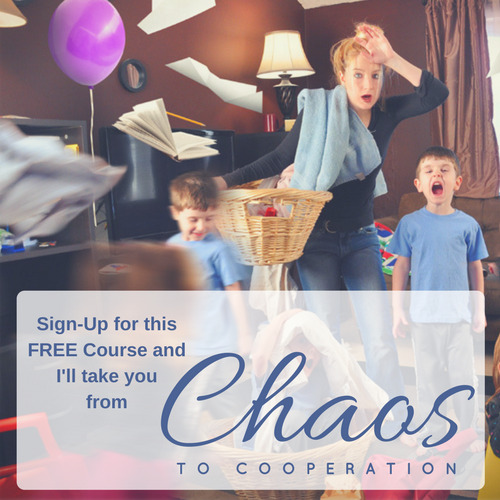 Handling temper tantrums does not have to exhaust you or take over your days. Parenting can sometimes humiliate us, attempt to strip us bare of our emotional baggage, single out all our fears and sometimes make us want to pull out our hair. "We can get through it." That's all you need to share with your child to handle a temper tantrum. Hold the space for compassion, tolerance and self-regulation as you model coping tools (deep breathing, exercise, drawing, being creative, physical, using the senses calm the body). If you can take a compassionate view, have more fun, adjust your expectations and release your grip on "how you think it should be" and your fear of "being out of control" or "breaking social convention," you can have a happier go of it and give your child the skills he needs to positively cope with his strong emotions. What do you think? How do you help your toddler through difficult emotions? Leave me a note in the comments below and share your story!